Fred & Marjorie Crome, my aunt Renee Chapman and her husband (covering his face) Des Chapman. 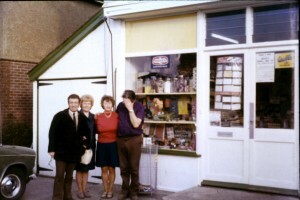 Around 1973 not long after they bought the business. Photo courtesy of Alan Crome.